Taking an idea about how to engage the wider learning technology community in exploring how and where we work is where the initial idea for The Really Useful #EdTechBook came from. In seven months we went from an email exchange about the concept for the book into the finished, launched, and available product. This book has been on my mind for some time. I’ve been making notes, talking with my peers, testing the water, writing a bit, and then ignoring it for ages. I then decided to sit down and do something about it. If you need an elevator pitch for this book it is simply this: I want to generate discussion around learning and educational technology, in all its guises and different environments. Technology has invaded our working and recreational lives to an extent that few envisaged 20 or 30 years ago. We’d be fools to avoid the developments in personal, mobile, and wearable technology. Even if we tried we’d still have to deal with other developments and distractions in classroom and learning technology like smart boards, blogs, video, games, student-led learning, virtual learning environments, social media, etc. More than this however, is how the advances in technology, and the economic and physical miniaturisation of computing devices have impacted education: the students, the teachers, the classrooms, the spaces, the connections, the aspirations, etc. 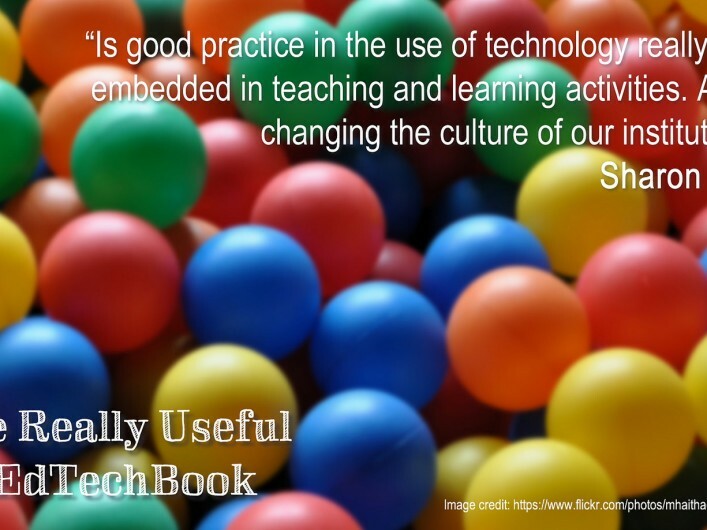 The Really Useful #EdTechBook is about experiences, reflections, hopes, passions, expectations, and the professionalism of those working with, in, and for the use of technology in education. 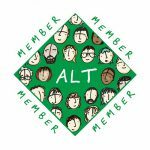 Not only is it an insight into how, or why, we work with these technologies, it’s about how we as learning professionals got to where we are and how we go forward with our own development. In this book, respected individuals from different education sectors write about many aspects of learning technology. The knowledge these leading practitioners, researchers, and professionals share, under the same cover, is a unique opportunity for you to read about the variety of approaches to learning technology, the different perspectives on the same technology, and how technology is impacting our culture and learning infrastructure. 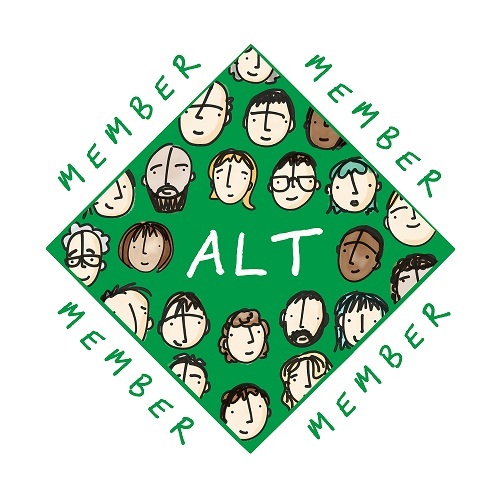 The contexts range from early-years classrooms to leading research Universities, and from museums to workplace learning providers. It is about our passion for our work and our desire to make our work better through our own learning and development. Without this book perhaps some of these stories may never have seen the light of day? I am certain there are many more stories out there that not only highlight what we’re missing or doing wrong or don’t understand properly, just as there are numerous examples of what we are doing right, where we have made a difference in just one child or one class or one school. Please share your stories. With me. With each other. With anyone who’ll listen. 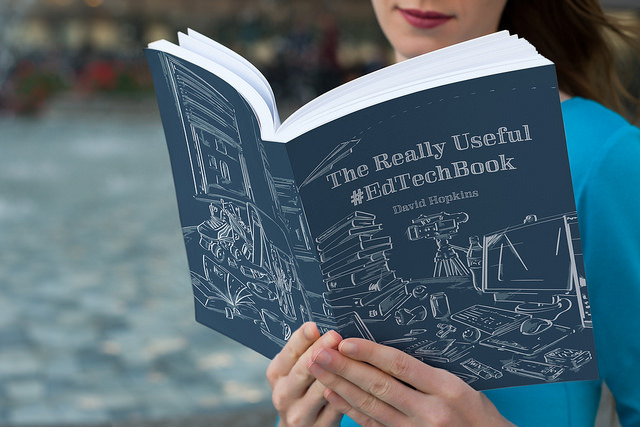 Use the #EdTechBook hashtag on social networks, with your Personal Learning Network (PLN), on your blog, or even on someone else’s blog. 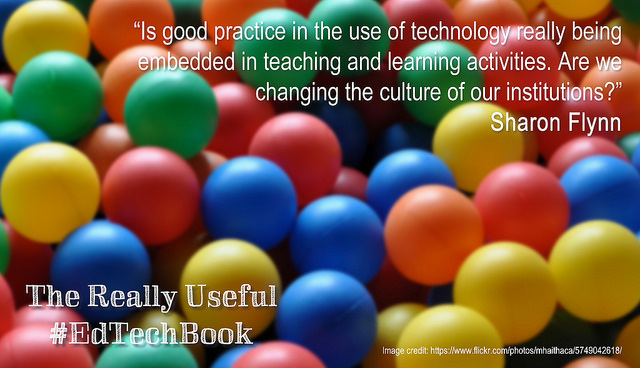 This book isn’t the start of anything new… but it could be a further catalyst to improve the use of technology for learning (all aspects of learning, in all possible locations), to highlight ‘bad’ practices and to investigate new ones. Please also leave a comment or review on the page where you bought or downloaded the book from.